The Light House Theatre – Kettering, hosts the UK’s largest music competition for Open Mic UK, when the competition visits Kettering as one of its many locations nationwide. Located just ten minutes’ walk from the town centre, sited at Kettering Conference Centre one of the premier conference venues in the East Midlands. It’s easily accessed from the A14. 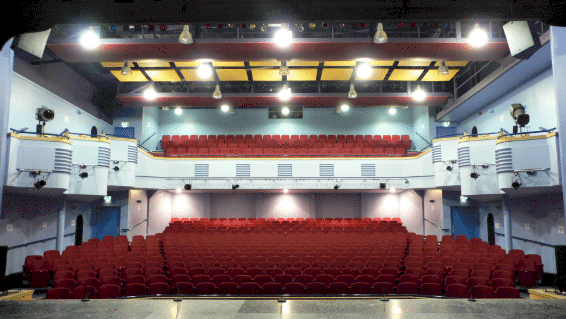 This is a superb venue that has all the magnificence and splendour of a traditional theatre combined with the contemporary style and features of a modern, state-of-the-art auditorium.